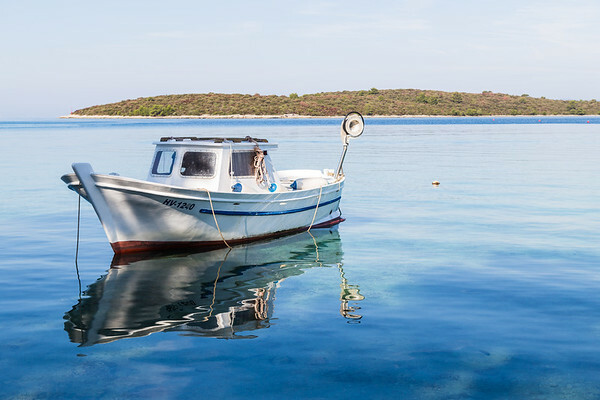 My favourite images captured in Croatia during October 2017 featuring Hvar Island, Split, Mljet Island, Korcula Island and the Peljesac peninsula. 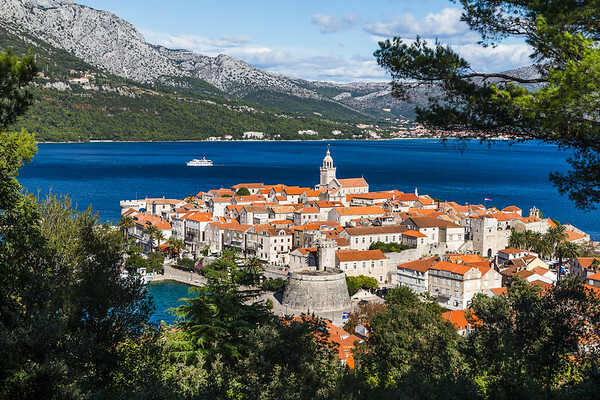 The old town of Korcula jutting out into the turquoise Adriatic on its own peninsula captured between a gap in trees on the hillside. The status of Marko Marulic towers above a street in Split. 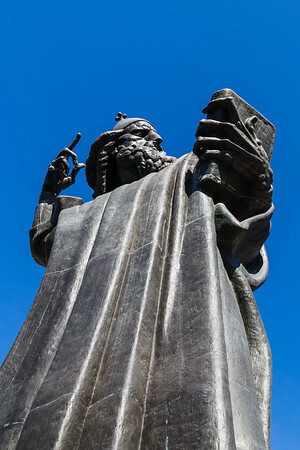 Marulic was a Croatian national poet and Renaissance humanist born in the 15th century. The statue was created by Ivan Mestrovic and was unveiled in 1925. 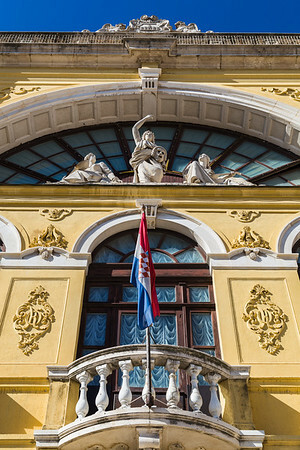 Filling the frame with the colours and detail of the front of the Croatian National Theatre in Split - one of the oldest surviving theatres in Dalmatia. 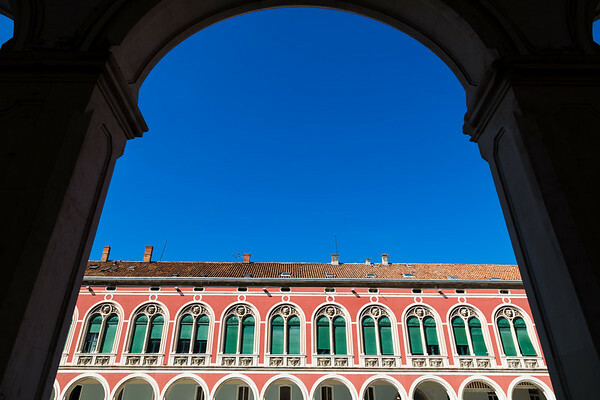 Looking towards one side of Trg Republike through an archway in Split. The colourful open square is surrounded on three sides by a collection of elaborate neo-Renaissance buildings. The peaceful bay of Loviste situated on the end of the Peljesac peninsula in Croatia one autumn morning in 2017. 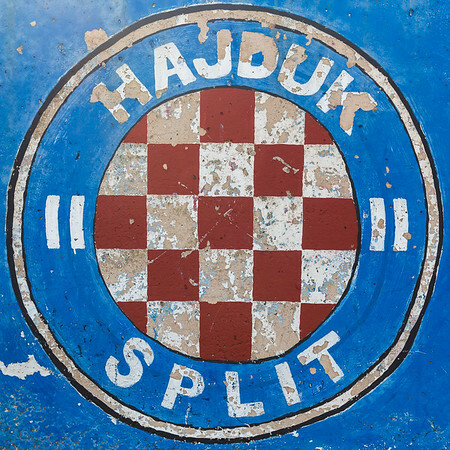 The colourful club crest of Hajduk Split painted on an external wall in Hvar Town, Croatia. 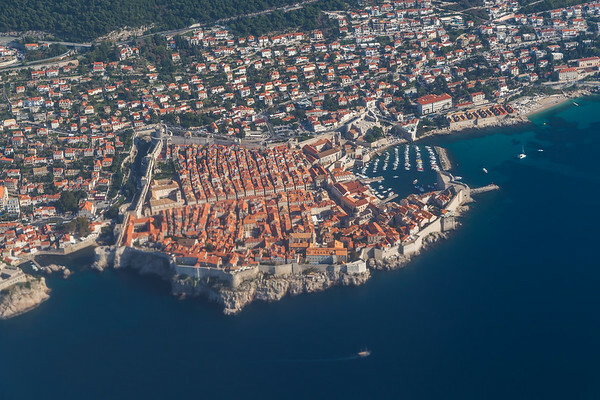 The beautiful old town of Dubrovnik seen from the sky whilst descending into the airport south of the historic city. 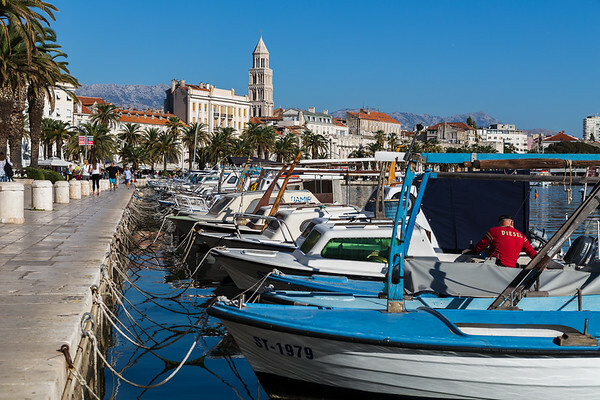 A row of fishing boats moored to the quayside at Matejuska, the Fisherman's port of Split in Croatia late one autumn afternoon. 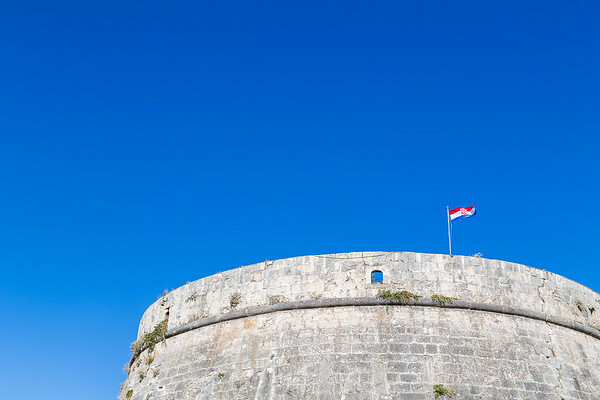 Tower Velika Knezeva Kula (Large Governors Tower) - the Southwest tower in Korcula old town's fortified walls captured against a blue sky. 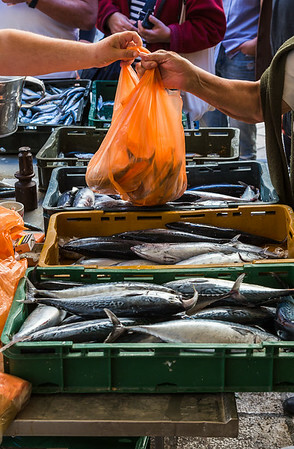 Close-up of Croatian paper notes (called Kuna), being passed across a box of fish at the bustling fish market in Split, Croatia. A multiple image panorama looking across the pretty vineyards of Donja Banda and down the Peljesac Channel which divides the Peljesac peninsula with Korcula Island.